The School of International and Public Affairs (SIPA) Environmental Coalition (ECO) is a student group dedicated to elevating the profile of global and local environmental issues. 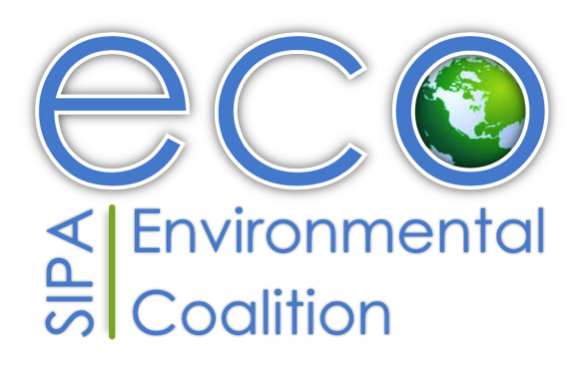 ECO raises awareness by offering skills-based trainings, hosting educational and social activities, and providing opportunities for advocacy through collaboration. Our goal is to spur action and engage the Columbia community in dialogues that highlight the linkages among our fields.